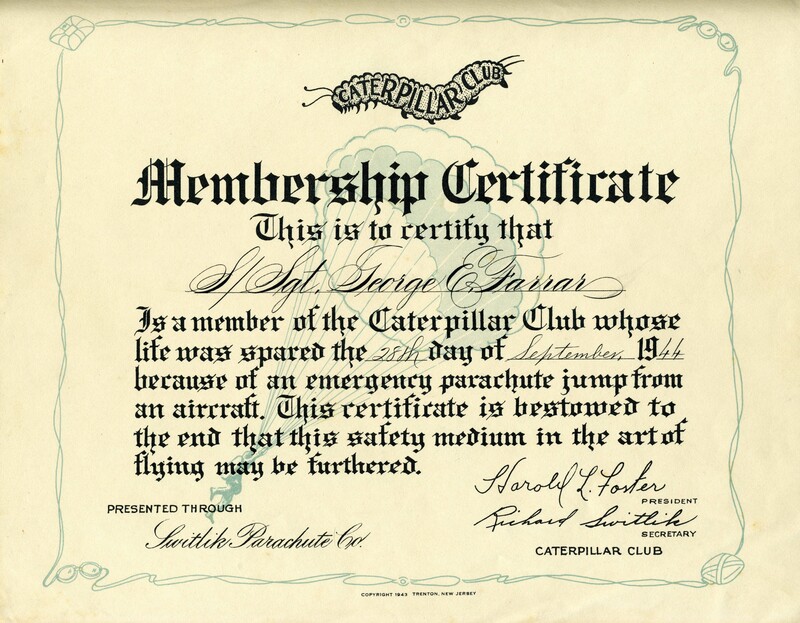 On November 20, 1945, George Edwin Farrar became a member of the Caterpillar Club. He was granted entry into the club due to the fact that a parachute saved his life on September 28, 1944. 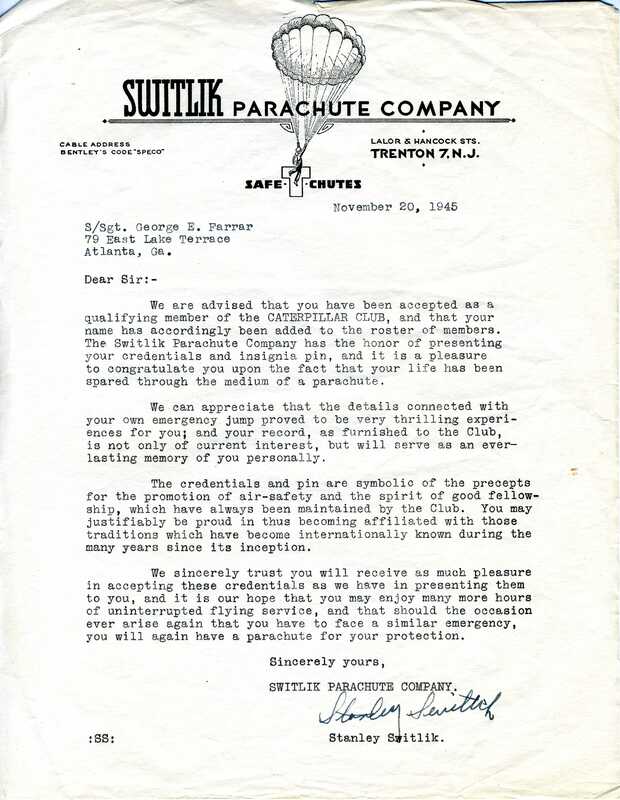 Stanley Switlik, owner of the Switlik Parachute Company sent him this nice letter, certificate, and pin. I have the certificate hanging in my home.